A couple of e-book bargains – Joyce's mystery and fiction book reviews with some non-fiction too! This is the first novel in the author’s Inspector Lynley series. It is an absorbing and dark read. I have since read every novel by this author. If you start the series, you might too! I read all of the books in this light series many years ago. 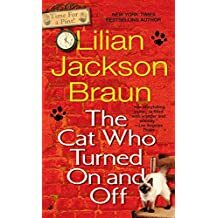 If you like cozy mysteries and cats, you will most likely enjoy this.